Sniper Central was founded on the principle of providing honest and expert reviews and information about various sniper related topics. 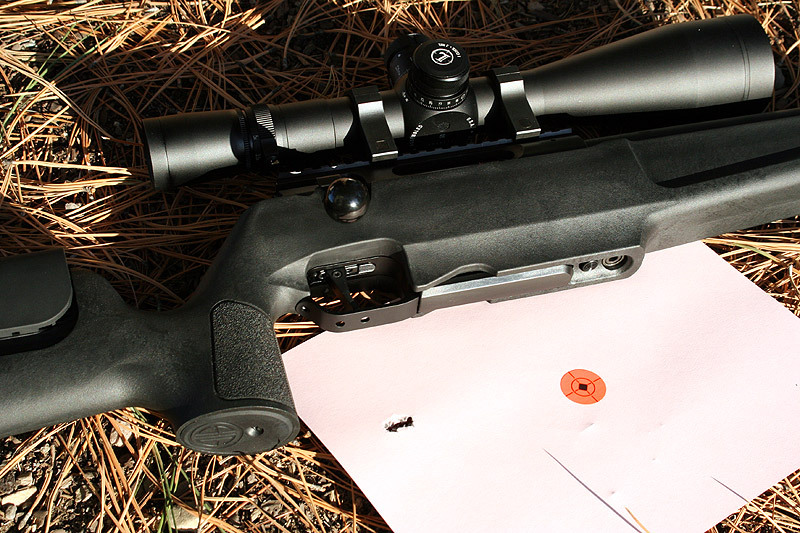 A huge part of SC has always been our rifle and rifle scope reviews. Over the years we have setup a battery of tests that we like to use to do an evaluation as to the effectiveness of the item we are reviewing. Of course, the ultimate test is to use the item in a prolonged combat environment to see how it holds up and performs, but not only is that impractical, but it can be downright dangerous and ill-advised at the same time. So we have had to come up with our own tests that provide some feedback to the effectiveness of the item in question for sniper use. We tend to include a brief description of these tests in the actual reviews themselves, but we thought it would be better, and helpful, to provide a more in-depth description of our tests which will then allow us to not spend more screen space than is necessary during the write-ups to explain the tests. In this article we will break down our explanations into two different categories, rifles and scopes, and will add more about the other reviews we do when it becomes necessary. Hopefully this will give you some further insight into what we are looking for when we evaluate equipment that may be used to save lives. When we approach a rifle during a full review, we always start by determining what the intended purpose and market is for the rifle. At first, one may think the answer is simply “Sniper Use”, but that is not good enough. 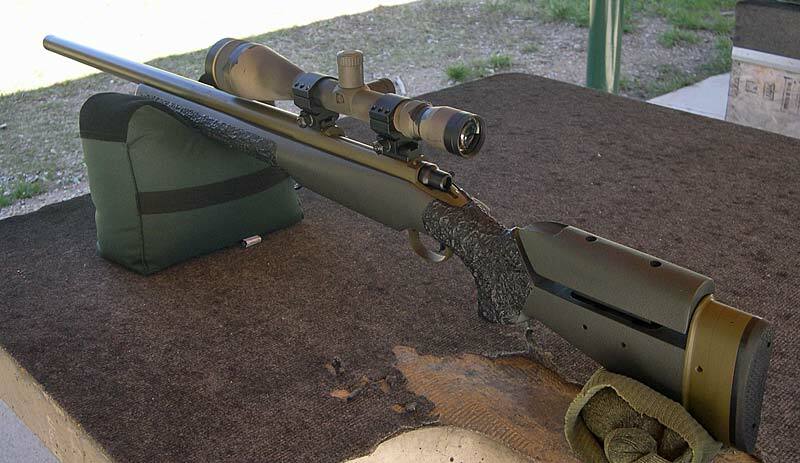 If we are reviewing a 338 Lapua rifle intended for extreme range sniping, we may pay close attention to the effectiveness of the muzzlebrake in reducing recoil, but if we are looking at a short barreled 308 rifle threaded for a suppressor, we don’t care nearly as much about the recoil. So we look at the intended market and mission of the rifle, and then approach the review from that perspective. Within the field of sniping, there are a large number of specialized intended uses for a rifle. But approaching the reviews from this perspective, it will determine how much we criticize, or praise, the weight of the rifle, or the length of the barrel, or even the type of recoil pad used. Once we have an idea of the mission of the rifle, we then adjust and coordinate our approach to the review from there. 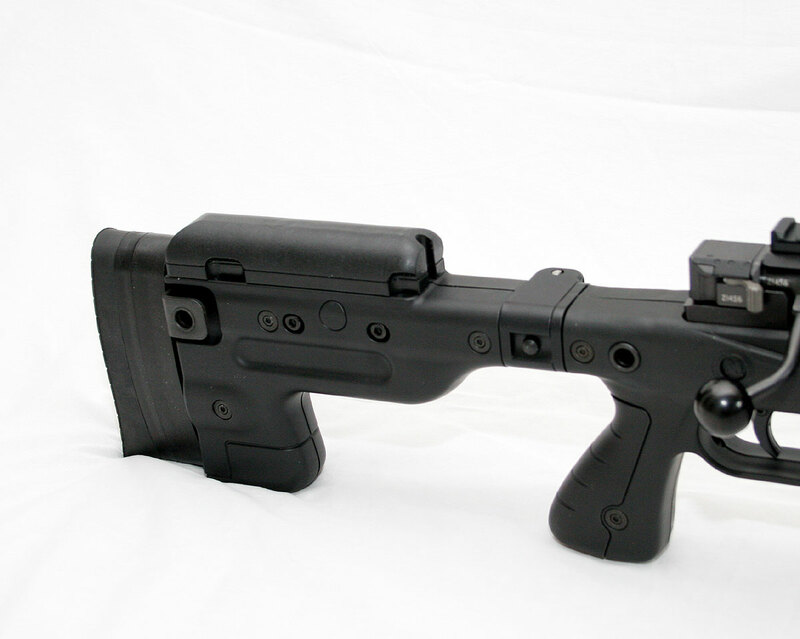 We then scrutinize in detail the actual features of the rifle and the build quality itself. When we actually do the write-up, we start from the buttpad and work forward, discussing the pad itself, the comb and cheekrest, the pistol grip, etc. We try to focus on all the aspects of the stock first before moving to the action, trigger, bolt, and metal work. We like to look at the way the hand is positioned to the trigger, the safety location, the build quality of the metal work and provided scope mounts (if any) and also the quality of the trigger. Extractors are another focus point as we try to identify potential problem areas. We then look at the basic smoothness of cycling the bolt and the trigger squeeze itself. Finally we move to the barrel and look at the markings, the metal finish, barrel length and then describe the crown, muzzlebrake (if present) and contour. All of those features are looked at from the perspective of “what is the mission of this rifle, and how well does this rifle fill that role”. We don’t care much about the color of rifles since a can of spray paint can resolve most of those issues so we rarely will comment, good or bad, about a chosen camo pattern or paint scheme. If there is a question about the bedding of the action in the stock, we will actually disassemble the rifle and remove the stock to take a look. That way we can look with our own eyes and see additional details in regards to the bedding, the recoil lug, and stock construction and other items. With the stock removed it also allows us to take a closer look at how to adjust the trigger, if that is an option, and other interesting details that may come to light with the bare action and barrel exposed. After the detailed feature evaluation and note taking, we do some basic function type checks. How does the safety work, does the extractor give a good positive extraction, is the bolt cycling and feeding smooth, what is the weight of the trigger pull and is there any creep and/or overtravel. We also check out any adjustable stock features such as length of pull and cheek height and see how easy they are to adjust and if they are, or are not, solid once set. We also track how well those adjustments stay set during firing as well. Once the rifle has been poked and prodded and thoroughly examined, we move to the shooting portion of the test. We have several scopes sitting on the shelf that we use for our shooting tests if there is not already a scope mounted to the rifle. Most of these test scopes are Leupold Mk4 series as they are a solid scope for tests like these and are a common scope found on sniper rifles in duty around the world. We have some other scopes as well but usually come back to a Mk4 4.5-14×50 and a VX3 6.5-20x50mm for these test as these scopes are designated specifically for these tests. Though don’t be surprised if you see other scopes utilized periodically during these tests. 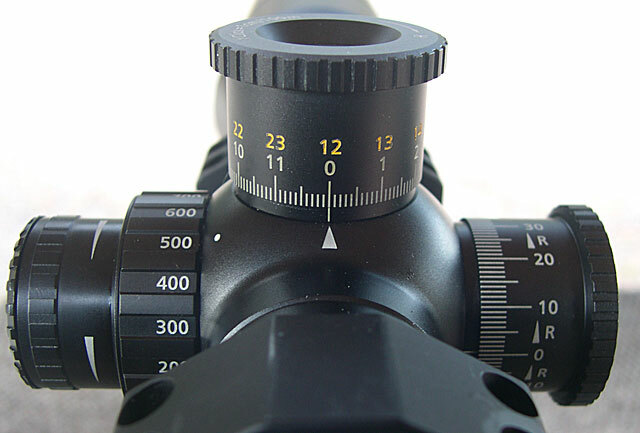 When mounting the scope, we use both steel tactical rings and some aluminum ones as well. These rings are usually from Leupold, Nightforce, Burris and some others that we trust. 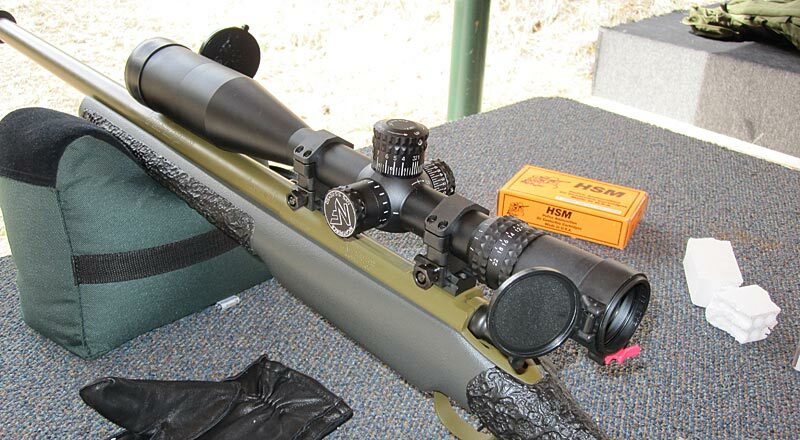 We mount the scopes ourselves and bore-sight them to make zeroing quick and easy at the range. Once we get to the range we do a quick zero shot at 25 yards to get the scope adjusted to be on paper at 100 yards. We then fire a group at 100 yards to get an initial impression of the rifle. For these initial ‘ultimate accuracy’ tests we fire them from a bench at our local shooting range. We use a sand bag up front and a sand sock at the rear of the rifle. Yes, more and better accuracy can be achieved by using a shooting vise and clamping the rifle down, but we do not do this as it is a hassle and really is not a practical test. Even when testing for best accuracy we like to have the human element involved as it allows us to evaluate the rifle in a user scenario. The entire time during these tests we have a notepad next to us and are recording any thoughts and notes while we shoot. We put a lot of value on the impression that a rifle leaves on us and its hard to have impressions when the vise is doing the shooting and not us. Once we have fired the first few initial groups to insure the zero is good, we then go right into the accuracy portion of the testing. Because rifles can be finicky, we like to include several different ammo loads to try and find one the rifle prefers. We not only include different makes of ammo, but we also like to try an assortment of different weight bullets and different bullet manufacturers as well. For each caliber, we have a selected benchmark load that we will shoot in every rifle. For the 308 it is the Federal Gold Medal Match 168gr, for 300 Win Mag it is the Federal Gold Medal Match 190gr, for the 260 it is the HSM 123gr Scenar, etc. We do this so that we have one common load used for every rifle for a comparison between them all and as a benchmark. From there we try to test both lighter bullets and heavier ones. For the 308 rifles we like to include as a minimum at least one load from the 175gr class and one from the 155gr. For 300 Win Mag we like a heavier 200-220gr load as well as another of the 185-195 class. For 260 we have 120s and 140s. As I mentioned, we like to include different manufacturers, especially in the bullet design. By using these wider spectrum of loads, it not only helps us to find a sweet spot for the rifle, but it allows us to evaluate the performance of the rifle as a whole across an assortment of ammo. Additionally, for 308 rifles, we have just started firing a standard M80 ball ammo load in every evaluation just to provide a benchmark of performance for less then good quality ammo. Based off of our comparison of M80 ammo we did here, we elected to use the Sellier & Bellot load as our default M80 ball test. For these accuracy tests, we fire three round groups, rather than 5 round groups as we feel this provides a good compromise between rifle performance and shooter performance. We measure the groups from center to center using a caliper to within a thousandth of an inch. We record and report the average group size for each load in both inches and MOA as well as the smallest group size in both inches and MOA. During this firing we continue to take notes about the overall feel of the rifle during the firing. This is where we start to get a feel for things like how the safety feels while in use and whether we like the trigger or not, how easy the mag release is operated and how functional it is, whether we find our cheek to be comfortable during firing, or whether we have to stretch too far with our trigger finger to reach the trigger, and many other things like this. We will also perform some rapid fire drills at this point which provides more insight into operational behavior of the rifle when operating the bolt in a non-friendly manner. This will highlight things such as how well bolt manipulation works, how the extractor behaves, and how quick the rifle comes back out of battery and back onto the target after firing. When possible we like to do this drill from the prone position as this will highlight other weaknesses in a rifle’s design. At his point we typically have a general idea on the overall performance of the rifle and have developed a general impression, but since we are all about sniping, we like to stretch the range on a rifle as well. To be honest, because of the many additional variables that effect long range shooting, a long range shooting test does not generally highlight many things that were not already turned up during our accuracy tests at shorter ranges. But we have preferred to do them when we can for confirmation or our results, for the fun of it, and because readers enjoy the results from these long range tests. We like to perform these tests at 600, 800 or 1000 yards on a steel silhouette target and will typically fire a group at center mass and then if at 600 yards we will attempt a head shot for the challenge. As I mentioned, these tests are fun and provide a bit more data that is relevant to sniping, but usually nothing new is revealed and it has always taken more effort to get setup for these long range tests. We had been searching for a while for a means to have a similarly relevant real world style test but easier to accomplish and that might provide some more relevant and useful data than what we get from a simple long range shoot. What we came up with was our rapid head shot test. We have become fans of the old WWII figure 14 target used by the Allies for sniper training and we were able to locate a source for them. We then devised a test that involves posting the Fig 14 target at 300 yards and then use it for 3 rapid fire shots. The trick is that the total result involves both accuracy as well as time. A tighter group is preferred, better than 1 MOA being the standard, and we set the standard for time to be 24 seconds. The last restriction we put on the test is that there is only a single target fired, no re-shoots are allowed. Because the target is not a bulls-eye target and there is not a well defined aiming point, and because it is three rapid fire shots with the added pressure of no refires, it tests how comfortable the rifle is in a duty style stressful situation. This obviously is a subjective measurement, but by putting the constraints on the test and introducing stress inducing variables, it outlines where some weaknesses might be found better than just shooting for accuracy. While it is not long range, head shots at 300 yards is respectable, especially when done in rapid succession. With the above standards in place we devised a scoring system that weighs both the time and the accuracy (as measured in MOA) against the standards and bases it on a score of 100. If the rifle shoots 1 MOA in 24 seconds, then it will score a 100. The score then adjusts up or down based on how far off of those standards it performs. The higher the number, the better the overall performance. We weight the value of accuracy a bit higher than time, but both are taken into account. We also track the performance of each of those rifles on our 300 Yard Headshot Leaderboard. We still like to do long range shooting with test rifles when we can, and with the use of our new target camera system it will be easier, but it is not a requirement on every rifle we shoot. But the rapid head shot test is now required and performed on every rifle review we do. That typically wraps up how we do an evaluation to come up with our test results on a rifle. Of course, a large portion of time is also required to write up the results from the evaluation and to take photos and gather and/or measure the stats on the rifle and then to format the page for the actual review itself, but the above description hopefully gives you an idea of what we do, and why we do it, when testing a rifle for our reviews. For our reviews and writeups on tactical rifle scopes, we have had to again develop our own procedures that we feel best fits what we need at Sniper Central in order to provide the best recommendations we can to the sniping community. There are several fantastic web sites out there that evaluate every minute technical capability of a scope in terms of glass and optical performance, but that is not what we are doing with our reviews here. What we attempt to do is look at a scope not in its pure performance, though that does play an important role, we instead try to evaluate a scopes effectiveness on top of a duty sniper rifle. We also incorporate the cost of the scope itself versus what type of performance was achieved when we give a final score. Yes, we do expect more from a $3000 scope versus a $500 scope. With that said, it does not matter how cheap the price of a scope is, if it cannot provide a consistent points of aim no matter the setting, it is going to be pointed out and criticized. Much like our rifle reviews, we start a scope review by examining the details of the scope before ever mounting it to a rifle. We start at the eyepiece and then work our way forward. We check to see if it has a fast focus eyepiece or a fine focus and then attempt to focus the reticle as sharp as can be to our eyes. We like to test it with some of us here that no longer have great vision, and while not wearing corrective lenses we try to focus the reticle just to be sure there is ample adjustment range for all shooters. Additionally things like rubber protection around the eyepiece or locking rings on the dioptre adjustment are noted and reported in the review. If it is a variable power scope, the zoom ring is examined for things such as how easy it is to tell what power the scope is set on and can it be read without the shooter moving his or her head much? How easy is it to move the power ring itself and is it smooth through the entire range of motion. These are some typical indicators to overall build quality and we pay attention to them. Throw levers, raised thumb knobs, knurling, and other such features are looked at and noted as well. We then spend a good amount of time examining and discussing the windage and elevation knobs as these are some of the most important parts for sniper use since we are constantly on the dials. We evaluate the physical click itself, we note how many MOA/MIL are available per revolution and how much total amount of elevation is available. We look for mushiness in the clicks, poorly marked dials, stiff rotation, markings for each revolution, clear directional markings and other such things. If there is a zero-stop, we like to play with it a bit to see how easy it is to set and how effective it is. We like to check to see if the windage knob counts up in both directions and if there are any sort of confusing markings that may cause problems in tense situations, as well as other such short comings, or novel new ideas. If there is a side focus, that focus knob gets heavily scrutinized as well. One of the first things we check is if the knob is smooth through its entire range of motion. Again, this is another quality indicator. We also look at the stiffness of the control knob and how clear the markings are. We like to see the knob use as much of a full revolution as possible as this gives the ability to maximize the refinement of the focus adjustment. If there is a focus up on the bell of the scope instead of a side focus, we test it in a like wise manner as the side focus. We also will examine the controls of the illuminated reticle, if the scope has one, and check to see how bright the reticle is, how intuitive the adjustments are, and if the controls block the view of the elevation knob. The brightness of the reticle is an area that many scopes struggle with, including the high end makers. It seems that they think that “brighter is better” which for an operational sniper is not the case. There needs to be at least one setting that is as dim as possible to just barely make the reticle visible in extreme low light settings. The problem with ultra bright reticles is that they drown out the target… and sometimes it is a lot, completely obscuring the target! Once the controls have been evaluated there is not a lot more to look at in terms of features and design. We do look at the tube construction, both material and whether a one or two piece design and the size of the objective. Again, some scope makers think bigger is better, but that is not always the case for objective lens size as well. Sure it helps with resolution on high magnification and with light gathering, but the quality of the glass is worth much more in both of those regards than the objective size. Additionally, making a huge scope means more size, weight and an increased cheekweld height, all of which are undesirables. So we like to look at the scope design from an overall perspective, what is the intended purpose of this model scope, how well does it fit that mission profile, etc. This does include a consideration on the magnification range, which again, some scope makers think bigger is better, and again, this is not always the case. With increased magnification comes a reduction in field of view, reduced light gathering ability, reduced exit pupil size which increases sensitivity to scope shadow, and the high magnification will magnify not only the target, but any imperfections in the glass. A good balance for the intended purpose of the scope is looked for and typically commented on during the review. Once the scope has been examined and evaluated based on its design and feature list, it is time to perform the shooting portion of the test. 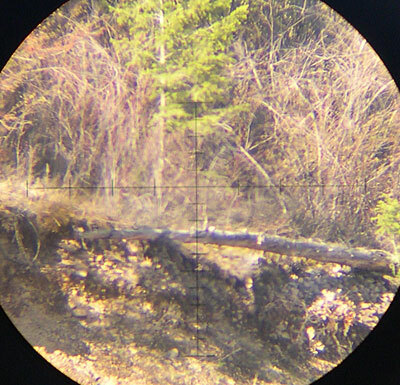 The overall objective and goal of the functional tests are to not find out the exact light gathering capability or ultimate resolution of the scope compared to its competitors, there are other sources that focus on that, but rather it is to test its usefulness on a sniper rifle and how well it would perform if it were to be put to use daily on a duty rifle. The reason we do this is because once the glass gets to a certain quality level, it is almost undecernable to the user. Can a sniper laying in a hide on the side of a mountain tell whether his scope is transmitting 92% or 94% of the light? Or if one model scope has 3% better resolution than another? What a sniper MUST be concerned with is whether when he dials in 14 MOA of up, is it really 14 MOA or is it perhaps only 13.5? That half MOA can be critical, especially if he thinks he has 14 dialed in. So we try to perform tests that really reveal the usability of a scope and its effectiveness in the field. For the shooting portion of the test we typically will mount the scope to one of our ‘test mule’ rifles, usually a Remington 700P in 308 Win. But we have several other rifles that we will use as well, such as a SIG Sauer SSG3000, CZ750 and some custom built sniper rifles, but usually it is a 308 rifle. We like to use good high quality steel rings when possible, usually Leupold Mk4 or Nightforce. Once the scope is mounted and boresighted we’ll zero the scope at 100 yards. For our scope tests we obviously only use one type of ammo, typically Federal Gold Medal Match or similar high quality match ammo so that the groups can be expectantly tight. Once these steps are accomplished, the testing begins and like with our rifle testing, we have a notebook handy at all times to write comments about the scope whenever something comes up worth noting. These would be things such as difficulty manipulating the controls, or if we notice different click resistance levels between the elevation and windage knob, or if we cannot get a sharp image very easily. Essentially anything that we did not notice when examining the scope initially while it was off the rifle, we write it down. Now that it is mounted and we are outside using it, we always seem to notice different things, so we annotate it in the notebook. The first shooting test we always perform is what is called “shooting the box”. We fire one group, typically 3 rounds, and then using the same aiming point we dial in down elevation using the knobs, typically 5 MOA, and then fire another group. Then we’ll dial in 5 MOA left, and fire another group, and then 5 MOA up, etc. until we have shoot a group at all four corners and then finally we will shoot a fifth group at the very end with the controls set back to their original settings of group number one. This is a very common scope tracking test that most reviewers will do, and for good reason. What it does is not only test the size of the adjustments, but it more importantly tests the repeatability while running through all four directions. That fifth group is the most important as it needs to be right exactly on top of the first group, that is the repeatability test. Firing all those shots is important as well as it introduces shock to the scope during recoil to test and see if those adjustments are set and will not move before, during, or after an adjustment is dialed in and the rifle fired multiple times. Anymore with modern tactical scopes, they all tend to do well with this test, manufacturing has come a long way over the past half century. We still perform the test, but it is seldom that major problems are discovered here. The next test we perform is a test on the actual size of the clicks. The way we do this test is to fire one group, then dial in 20 MOA left into the scope, fire a second group, and then dial the 20 MOA right back into the scope and fire a third group. If the scope has MIL knobs, we use 6 MIL. We then measure the distance between the first/third group and the second group and compare it to what the distance should have been. We began doing this test several years ago after it was brought to our attention by a Law Enforcement sniper that they discovered some major discrepancies with the size of the clicks in a major brand’s high end tactical scopes. Sure enough, when we began doing this test, we began to see some issues as well. Obviously this is not a perfect test because the groups fired from the rifle have size variance which will introduce error, so we set a standard that a scope must be within 5% of the exact distance to be considered usable on a field rifle, but in reality we expect better than 3% to really be considered right on. Some might argue, “why not just mount the scope in a solid mount, and use a measuring board and measure the adjustments exactly?” We have considered doing this, but we like the shooting method as it puts the scope in a “field environment” and it continues to introduce shock to the scope during the test and especially after dialing in a large amount of adjustments which has been an issue in the past with scopes. This is the same reason we fire the third group which is typically not necessary for just measuring the size of the clicks, but it is a followup test for repeatability, we want to see that third group right on top of the first, else it is an additional warning flag. After these two important tests, we then will engage targets from mid (400-600 yards) to close range (100 yards) to just get a feel for dialing in adjustments and using the scope at different targets. For evaluating the actual optical quality, we will look at dark and complex targets, such as through heavy woods, to check out contrast and definition and we will also try low light engagements to again check light gathering. Finally we like to take a comparable competitors scope and just look through them side by side to try and pick out any noticeable differences in optical quality, but that is typically very difficult to do. This is where we also like to examine the reticle, especially if it is something proprietary and unique, and take note of anything we do and do not like about it. The last set of functional tests take place back at the shop, but with the scope still mounted on the rifle. One of the things that was brought to our attention years ago actually answered some confusion we had noticed on various scopes before. It would seem that sometimes if we changed magnification, all of a sudden our impact was slightly different. It never dawned on us that this might actually be a functional flaw in the mechanics of the scope, we had just assumed manufacturers had figured that out years ago. We were wrong, well, at least for some manufacturers. It was brought to our attention that it is common for reticles to shift when changing magnification and also when changing the focus on an adjustable parallax scope. Now that we think of it, it is only common sense. Doing both of those things causes a lot of parts to move within the scope and any loose tolerances in the manufacturing would introduce slop. The next challenge was to find a way to test for this slop because it is a critical test for snipers, we can never have our reticles shifting when trying to engage distant targets in a hostile environment. We first built an apparatus from a lead sled style rifle rest to mount the scope to, and would then try to observe the reticle when changing all the controls on the scope, but a reader of Sniper Central provided us with a better idea. Just use one of the optical bore sighting devices that uses a magnet to attach to the muzzle of the rifle. This worked great! So what we do is while the scope is mounted to the rifle, we then use an optical boresighter with a grid pattern on it. Then looking through the scope we adjust the crosshairs to be centered right on an intersecting grid point. Once “Zeroed”, we then check the zoom power from one extreme to the other and watch the reticle to see if it moves off our zeroed point on the grid. The high end scopes typically are rock solid, but even some of the upper middle end scopes will wander slightly. The low end Chinese stuff usually struggles worse. Using the same boresighter, we do the same test using the adjustable objective, cycling through its entire range, and it surprises us how many scopes do not do well here. Again, the top tier scopes are typically rock solid, but even some upper tier scopes will have some slight wandering of the reticle with the AO adjustment, and nearly every lower end scope has some movement. Again, some of the really low end stuff is horrible with 5+ MOA of shift from one extreme to the next. These things can be paramount for a sniper so it is why we always perform this test. We can also use this same boresighter to test left or right wandering when adjusting the elevation through a wide range, but any more this is not much of an issue with today’s scopes. It seems that manufacturers have taken the time to figure out how to make a scope correctly and accurately track with their adjustments, but they have not paid as much attention to reticle shift on the zoom and AO. So from there we take time to compose all our thoughts and perform the writeup spending a good amount of time writing and putting together photos and laying out the article. 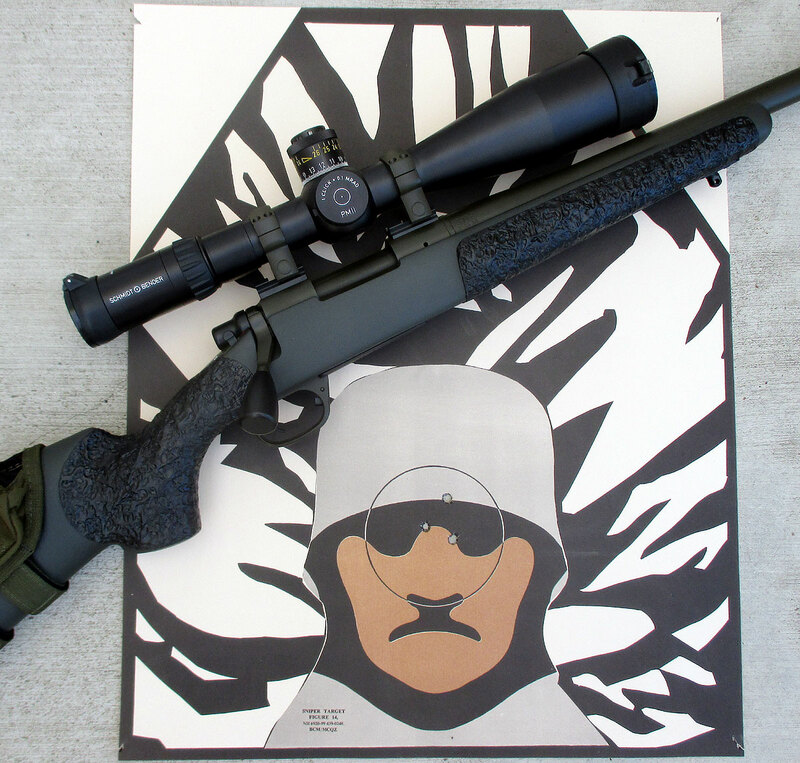 One thing we do different with optics compared to rifles is that we do award a score from 0 – 5 stars. We had to do this because so many readers were looking for some help deciding what scope to buy and needed a way to compare on to another. Our star system is mostly based on the functionality of the scope in a snipers role, that is the primary component of our score. But we also take into account the cost, meaning if a more affordable scope performs very well, it might get a bit higher score because it did it on a budget. We also weigh functionality much higher than just pure features. A good simple compact scope that performs well may score higher than a complex higher power scope with wiz bang features that is not as useful to a sniper. There is both objective and subjective points that effect the overall score. 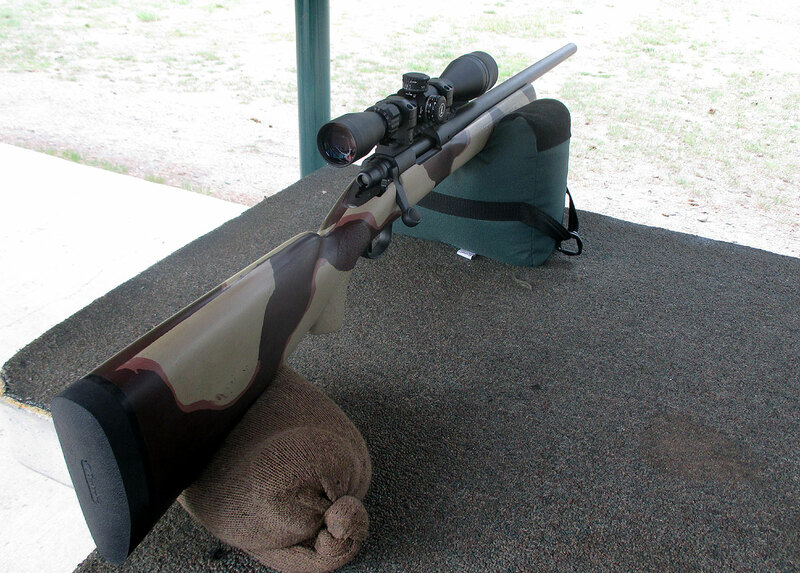 Hopefully this article has given you some insight to how we rate and review rifles and scopes here at Sniper Central. We realize it is not a perfect system, but we think it is fair and a good real world way of doing it.